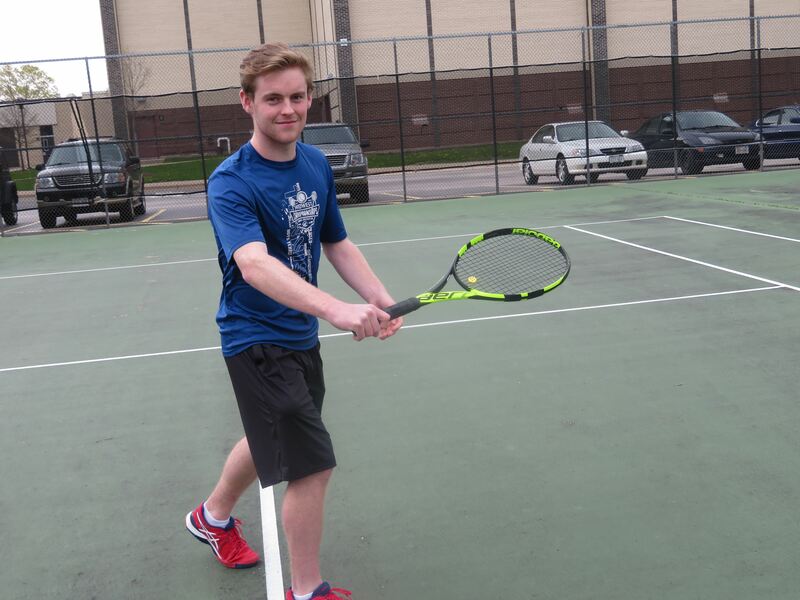 To give you an idea how good Brookfield East senior Robert Krill is, he could have been playing for the University of Wisconsin - Madison tennis team this spring. But fortunately for the Spartans, he is their No. 1 singles player instead. "He could have graduated early," East coach Linda Lied said. "Madison's coach (Danny Westerman) was willing to do that (take him on the team). If not, he was fine with Robert going out and having a great senior season." Lied would like to see Krill, who talks more about team goals than individual goals, get that individual state championship this spring. He will be attempting to go to the 2017 Boys Tennis State Individual Championships on June 1-3 in Madison for the fourth straight season. 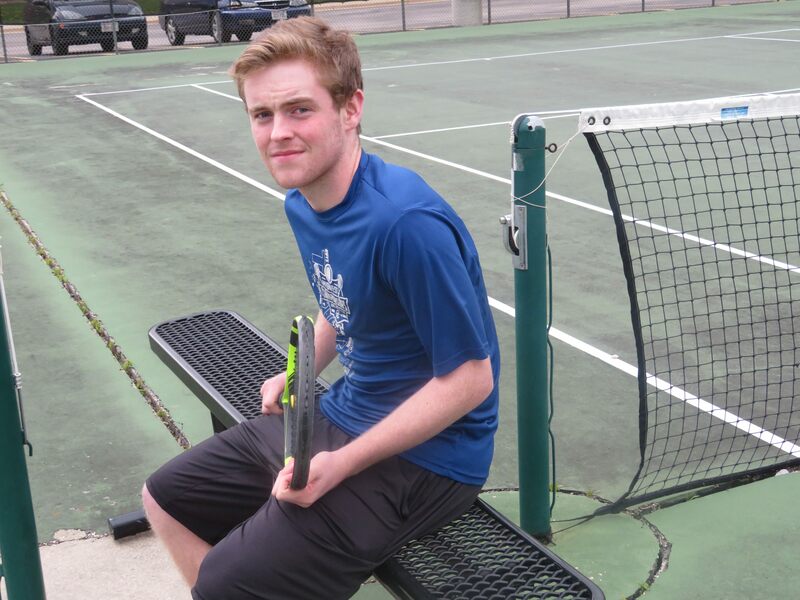 He went to state his freshman year as the 11th seed and finished fifth, losing to teammate David Horneffer. His sophomore season he was a third seed and finished fourth, being knocked off by eventual state champion Jake Van Emburgh of Middleton. Finally, last season he went into the tournament as a second seed and lost to top-seed and teammate Horneffer (4-6, 6-2, 7-5) to finish second. "I asked him don't you want to get that state championship before you graduate," Lied said. Having such talented teammates his first three years helped Krill develop and improve over time. "It was nice as a freshman having guys who were really good," he said. "I could switch between 3 and 4 singles. Having guys who were really good on the team, we always got to practice together and get a lot better. "There was less pressure to win matches because you could really count on your teammates knowing they were going to go out there and win too. I felt like there was a little bit less pressure. But obviously, every single match there is still pressure to win. "Going out there and practice, you know you are going to get a good hit every single day. There are some teams where there is one kid who is far better than the other kids on the team. Over the last couple of years it's been so nice being able to play with Felix Corwin, David (Horneffer), Doug Francken and even more players like my brother (Patrick). It's been nice because you know every single day when you go to practice that as long as you're working hard, you are going to get better." Robert's older brother, Patrick, was a two-time state doubles champion (2014, 2016) and is currently playing club tennis at Madison. He also has a sister Maggie, who is in 7th grade at Pilgrim Park. Robert talked about how Patrick affected his game. "When we first started off he took a little time off to start other sports while I just kept with tennis," he said. "Then about two years later he felt the only sport he wanted to commit to was tennis. "We never really competed too much - we played a few times in USTA matches - and we would practice a decent amount. It was always good to have someone like that who you know you can hit with. If I ever needed someone to hit with and everyone else was busy, Patrick and I always got the best out of each other." Tennis ran in the Krill family as his dad, Pat, and mom, Christin, played tennis growing up. "When I was younger (5 or 6 years old) they put a racquet in my hand and ever since then I loved the sport," Robert said. "Every sport was just for fun, but I kind of loved tennis ever since I was young," he said. "It was a sport I always wanted to compete in and it was a sport I always wanted to play. When I was 8 years old I started playing my first tournaments and ever since then I started playing in some bigger tournaments and just kept playing and playing." Robert talked about what drew him to tennis. "I kind of like it because it's a sport where you're out there on your own," he said. "I always thought that that was cool. I grew up in that atmosphere and then I started playing the sport with people I grew up with. I really liked everything about the sport. "When I was younger I played soccer too, but my parents both had tennis backgrounds growing up and they always wanted me to be playing tennis. In fifth grade I wanted to focus more on tennis than soccer, so I just stuck with that." He plays tennis year around, playing indoors in the winter with the United States Tennis Association (USTA). During high school season you aren't allowed to play in the USTA tournaments, but when not in the high school season Robert usually has tournaments every month, as well as in the summer. His success in tournaments has helped his confidence in high school, as he is a three-time All-Greater Metro Conference selection. "Having played in tournaments, you have to go out into those matches already being confident and getting the results you want," he said. "Obviously winning helps out and makes you more confident too." Robert talked about the strong part of his game and Lied agrees with her prize pupil. "I just feel like I'm an all-around player. I feel like I can do a little bit of everything," he said. "I don't really think about it when I go out there. I just go out and play and figure out the match. Whatever my opponent does, I do what I can do to just go out there to win. I don't think to much (about strategy), I just do whatever I have to do to win." When asked what was the strongest part of his game, Lied quickly responded. "His brain," she said. "He is one of the smartest pIayers I have ever watched. His consistency in points; he makes smart points and he is all for the team. He's a hard worker during practice." But both Krill and his coach know he has some things he needs to work on. "There is still a lot to work on, but I feel there is nothing major to be done," he said. "It's practicing hard and working on the little things here and there." Lied added "every aspect of his game will be tweaked - his fitness, his strength. The next step he needs to develop is his ball striking." Lied remembers Robert when he was about 6-7 years old as her family and his were members of the Western Racquet Club. "Little Robert had a lot of energy and he was on our radar," she said. "He was a smiley kid with a great positive attitude and was fun to watch. He was a little guy and you could see his passion with tennis." Now as a senior and the team's top player, Lied talked about Patrick's role with the Spartans. "He's focused when he gets on the court, gets the job done," she said. "He knows what we work on and then he gets out and cheers his teammates on. He's the best. He wants the kids to have fun. He's a great teammate. "He helps kids, takes it upon himself and works with others, gets their confidence up. He is not only my star player, he's my third coach." Despite his talent, Krill is the definition of a team player, which he showed when asked about goals for this season. "I just want to go out and practice every single day and try and get better," he said. "But more importantly when I'm out here with the team, I want to push them to get better too. "As a team I hope that every single time we step out on the court, we can just find something to get better at. I feel we got a talented group of guys this year and if we work on it we can do some good things." Patrick and Max Fisher are this year's team captains, a role he feels strongly about. "I just feel that being a guy who has been around for awhile I feel I have learned a lot the last couple years," he said. "I know how important it is for our team bonding - being friends and having fun and still working hard. It's the best of both worlds. I'm just trying to have an environment where everyone is getting the most from everyone. "I hope that I leave an example people can follow. That's what I strive to do. I just try to communicate with everyone and just get the best out of everyone. I try to encourage people. I just think that as long as everyone on the team is happy and having fun and working really hard too - you can get both of those things." Lied is just pleased to have Patrick and happy he stayed for his final season. "It's fun to watch someone who loves to play the game," she said. "The kids love him. That's quite a testament. He's kind of goofy, but he makes sure someone knows they had a match. "He's a great kid. He will be very missed. Not because he's a great tennis player, but because he's a good kid." FAVORITE FOOD: Chips & Guacamole. FAVORITE PLACE YOU VISITED: Boston, MA. MOST MEMORABLE SPORTS MOMENT: Winning team state title as a freshman. WHAT WOULD YOU LIKE TO DO IN THE FUTURE? Accepted scholarship to play tennis at the University of Wisconsin - Madison and study business.